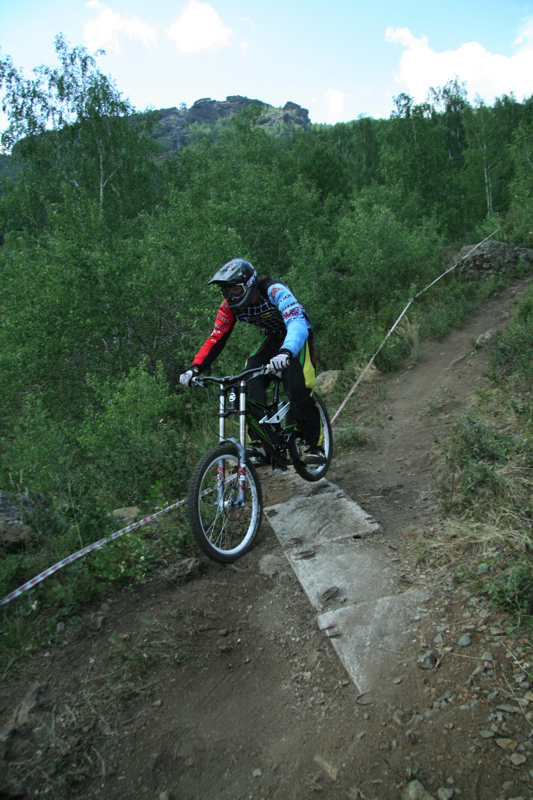 Russian DH Champion reports on the weekend of racingRussian 2010 DH and 4X Nationals took place from 22th to 25th of July near the town of Magnitigorsk, Ural Mountains. The Ski resort near the Bannoye lake is very popular among mountain bikers and it’s here where Russian championships usually take place. Comfortable cable cars, multiple choice of tracks and friendly staff and locals make this place very attractive. 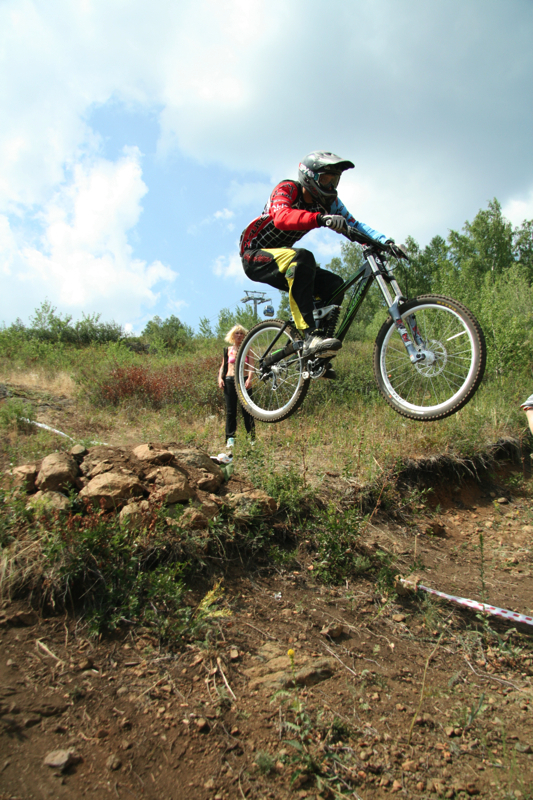 The main event of the season gathered more than a hundred riders from all over Russia and nearby countries. 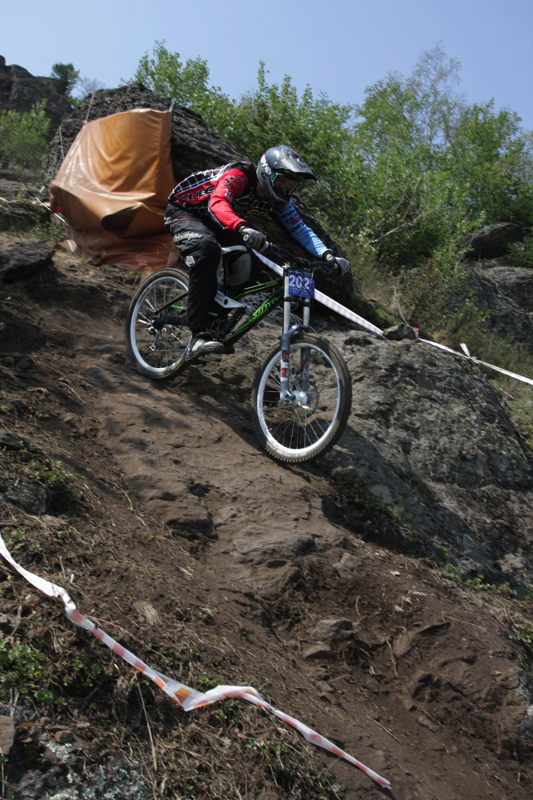 A new track abounded with badass rock gardens and steep corners was built specifically for this race. Race time average was about four minutes. The weather was a little bit too hot and it made the track very dry and dusty, which caused loose wheel traction. On the other hand It made the race more competitive. Not to mention at least eight fastest rivals to compete with. I got my new Kona Stab Deluxe not long before the race. I live in Moscow, therefore I didn’t have chance to test it in mountains at all and I was looking forward to give it a try. 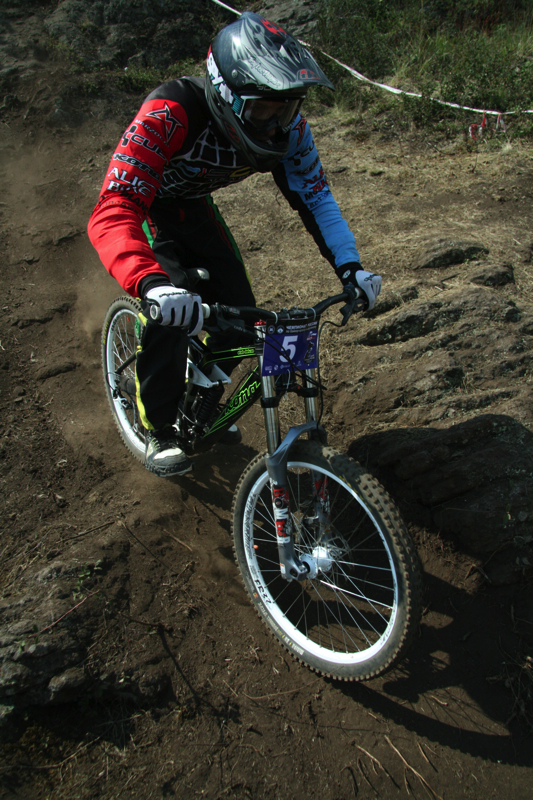 Also, I used to have a DW-Link suspension before and I wasn’t really acquainted with Kona 4-bar linkage. I was concerned it will be too stiff for me. I was surprised to find out, that there were no major difference in performance. Stab easily popped over every bump, and I felt really confident. In general, Stab is very stable bike. Rolls fast, easily accelerates, maintains speed, great in air. There is no pedal bob and cornering is great. My only intention was to win this Championship, so I did everything I could. I practiced real hard. And I’m happy that for three days I had no problems with my bike at all. I even had opportunity to relax in the evenings without bothering about fixing or tuning it. Qualifying took place on Friday and I came down fifth in my category. I didn’t have to risk for it because I knew I have some time in the tank. 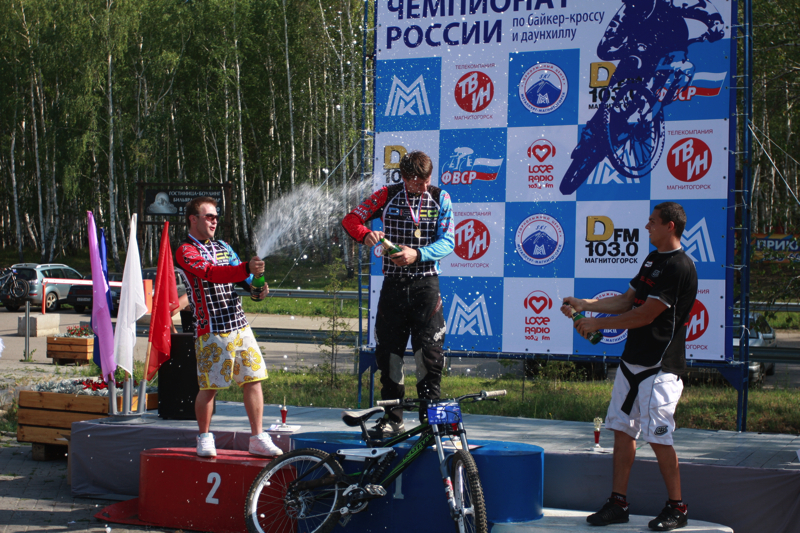 The next day I had an excellent final run and came into first with a time of 3:38:81 as a Russian DH champion in Elite! The race was well planned without any serious delays and problems. Safety was the main issue. The only big downside was lack of sponsors and consequently, lack of prizes. The skill of Russian athletes is improving every year. Unfortunately our government and commercial sponsors aren’t really interested in evolution of this field. I hope the situation will change one day, but right now DH is a bit retarded in Russia. A big thanks to all my sponsors, especially Kona, whose support was essential for me to win.